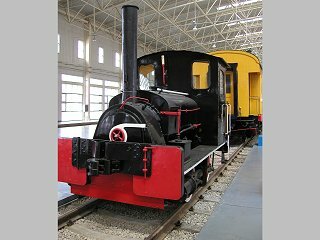 This is believed to be the oldest locomotive in existence in China. It dates all the way back to rail road "childhood". 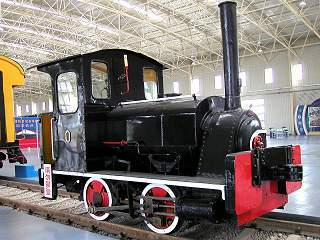 It was used in Tangxu (btw Tangshan and Xugezhuang) and donated by the Tangshan Locomotive Factory in 1979. The three figures (as in 0-2-0 above) denotes axle sequence on steam locos. E.g. 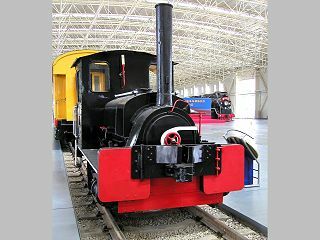 1-3-2 means 1 leading but non-powered axle in front followed by 3 powered axles and again followed by 2 non-powered guiding axles at the rear. As can be seen from the pictures loco No. 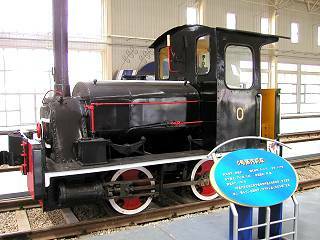 1 had two powered wheels and no leading or trailing non-powered axles, thus 0-2-0.